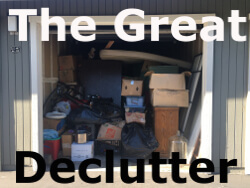 This is the last part of The Great Declutter series on how streamlining my backpack survival gear led me to downsizing the rest of my possessions by 2/3. It’s important to declutter the mind as well as the home. My brain was tired keeping track of so many side projects, so I decided to tie up all of the loose ends. 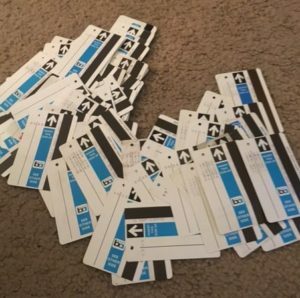 I finally learned how to cash in my old transit tickets. I printed off the form, tallied the tickets and mailed them off to Washington D.C. About a month later I got a check in the mail for $129! 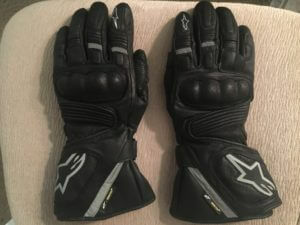 I forced myself to accept my mistake purchase for this motorcycle gloves. They never fit right despite trying out numerous suggestions on how to break in leather. I finally set up an ebay account and sold them to someone in Florida. It feels so good to remove bad memories from my home. 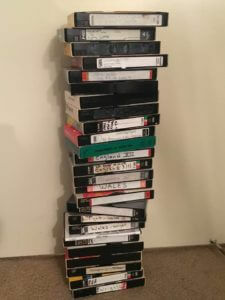 One particular project that felt urgent was digitizing my childhood videos before VHS become obsolete. This took many hours to transfer, but I now have a digitized copy of the movies and so does my brother’s family. I am truly grateful for my making the time to declutter. I feel so good owning fewer things. Now I am surrounded by stuff that gives me joy! I know exactly what I own and where to find it. I am proud that my stuff has a home and is in good working order. My home feels more peaceful by having less visual clutter. I am mentally, emotionally and physically ready for my next adventure, wherever that may take me!